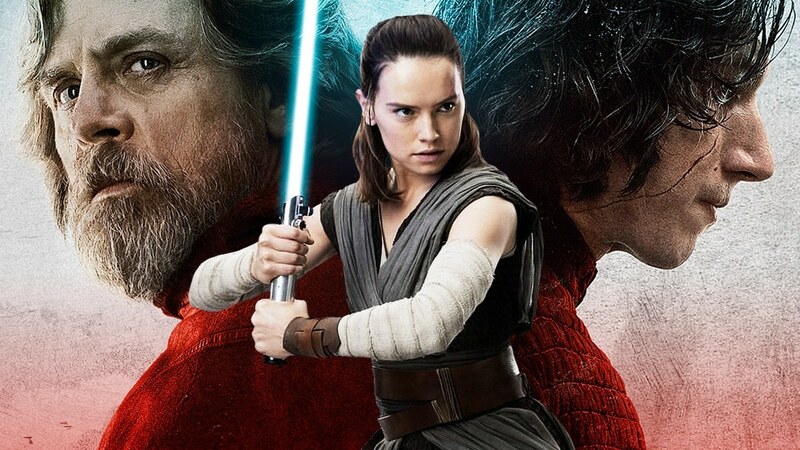 HOLLYWOOD – Star Wars Episode 8 The Last Jedi hits screens worldwide this week. Rian Johnson’s Star Wars Episode 8: The Last Jedi arrives in cinemas but does it blow up the Death Star or just explode on the surface. Here are FIVE takeaways, but be warned these are SPOILERS. 1 The first hour is a real drag. Star Wars was originally inspired by the Flash Gordon Saturday morning serials and here the Star Wars franchise has become like that. Familiar characters go off and do different things. But none of this quite amounts to the status of story. Time and space are manipulated in an offhand way. Travelling across the galaxy with a deadline counted in hours feels wrong. It minimizes the scale we’ve come to expect. And some of the stories feel like TV episode filler. Especially with Finn (John Boyega) and Rose (Kelly Marie Tran) Go to the thing and get the thing that’ll do the other thing while jeopardy happens that’ll take x hours. As much as Force Awakens lacked originality, it was exhilarating. This felt middle-act-humdrum. 2 In a telling scene, Luke Skywalker (Mark Hamill) tosses the light saber over his shoulder, mirroring the film’s own dismissive attitude to many elements set up by JJ Abrams’ first instalment. Luke for one was this big reveal in the first of the new films. Here, he spends a long part of the movie refusing ‘the call to adventure’, but it never calls again. Rey (Daisy Ridley) and Luke’s relationship doesn’t deepen. The offing of Snoke was a great scene, but again had a Game of Thrones abruptness. It seemed more intent on wrong-footing the audience than anything else. 3 Leia (Carrie Fisher) flying. I get that Leia is essentially a Jedi, strong in the force. But the moment she flew her character – and perhaps the series – hid in the fridge. I feel toward Star Wars now how I felt toward the Harry Potter films. I’ll go and see them and enjoy them. But I’m not invested. All the characters have ‘moments’, but I’ve lost sight of any real arc. 4 The humor. Force Awakens was funny – in a smart TV show way. The Last Jedi is more funny in a Jar Jar way. Cute/disgusting aliens, some comedy gurning – Finn has become a particular adherent, but Domhnall Gleeson and Oscar Isaac run him a joint second. And then the overplayed winking actually detracts from the movie. When Luke flicks dirt from his robe emerging from the lethal bombardment, I felt that was Mark Hamill doing that; not Luke. I could hear the conversation: ‘Hey what if I wink at C3PO?’ Luke’s character was always the most sincere, the most driven. When did he become this jokey semi-serious granddad? 5 Luke’s death. This was the most baffling moment of the film. Why make the twist that Luke is not actually there – using his force to project himself into the minds of the others – to then make the consequences exactly the same as him being there. I loved the moment that he revealed himself to Adam Driver’s Kylo Ren. It was epic. My highlight of the movie. It seemed to go in a really different direction. No, we’re not going to have the obligatory death. 5 b. Not every film has to have the same emotional beat – and this goes with the action too. We don’t always have to have the clock ticking while two sets of characters have to accomplish two different tasks. The algebra is becoming nakedly predictable. This is movie magic by algorithm. To be clear, I quite enjoyed the film. Especially the last hour. But Star Wars ought to be great and for me this felt like the beginning of the end of my fascination with the series.